The best way to get down to Princeton is to purchase a round trip ticket ($32 round trip) from New York Penn Station to Princeton Junction. There will be a shuttle van to pick you up from Princeton Junction at the following times: 6:45pm, 7:15pm, and 7:45pm. Please choose the time that is closest to your arrival at Princeton and plan accordingly (travel time is anywhere from 50-75 minutes). 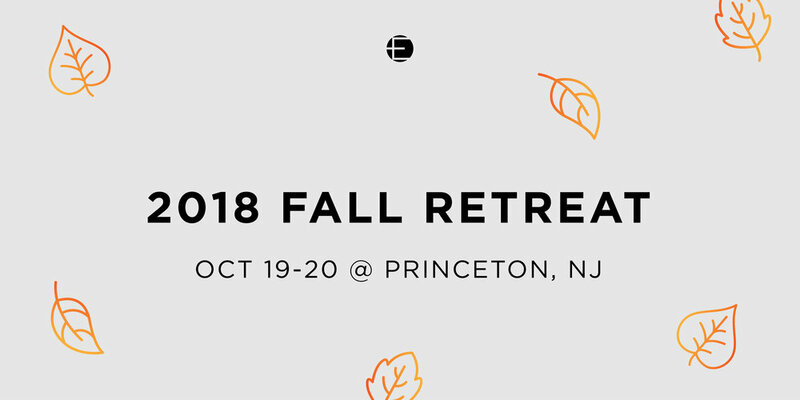 Our shuttle vans will also take you from the Marriott back to Princeton Junction on Saturday evening when the retreat is over. CLICK HERE to view the NJ Transit train schedule for Friday, 10/19. Please email us at info@exilic.com if you need financial assistance or if you have any other questions/concerns regarding the Fall Retreat.